Below you can explore issues related to Mobile Device Management and find the advice you need. For any other additional questions, suggestions, improvements requests or if you simply want to report a problem, please contact the support team. When deploying the EPP MDM app for iOS, where do I get the needed information for the “Request MDM Profile” step? a) Mobile Device Management > Mobile Devices > select the desired device and manage it > press the Install EPP MDM app button. b) Push the EPP MDM app from the Mobile Device Management > iOS App Management > Search Result section. For any of the above options, no additional information is needed, as the EPP MDM comes already branded and has everything pre-configured. 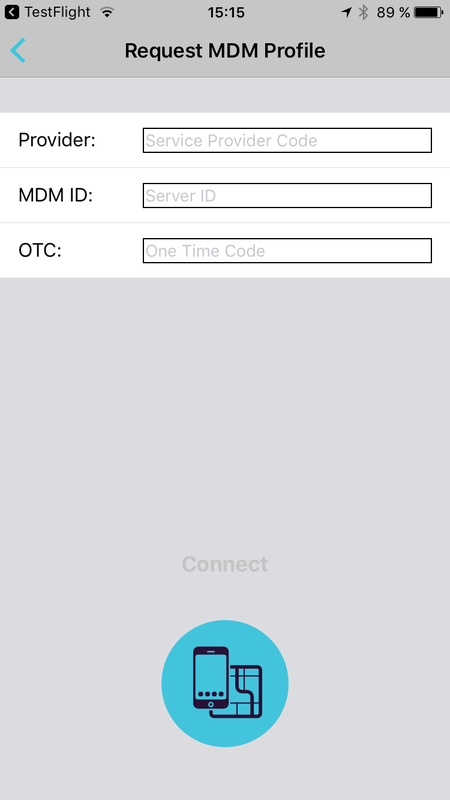 a) Install the EPP MDM app directly from the iOS App Store.